Do you want your home to be the envy of your friends and family? Can you picture yourself on a long weekend, surrounded by family and friends, relaxing in your incredible home theater and enjoying a great movie? The surround sound makes you feel like you are there experiencing it all in person. Don’t just dream about having an amazing home theater! Find a Diamond Certified Home Theater and Automation Company and you can soon have a home theater that really wows you and your friends and family. An Alameda County home theater and automation company can turn your dream into a reality with a very affordable home theater and automation system. 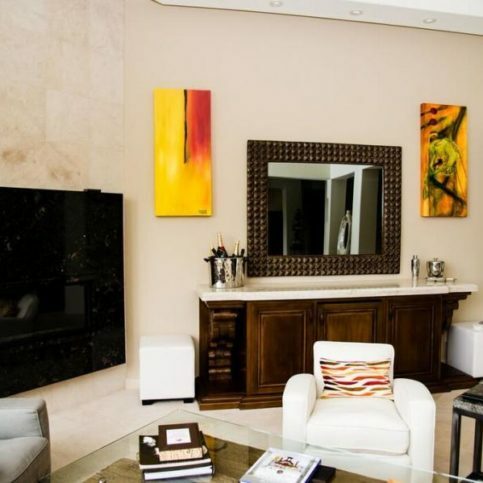 Have you ever seen the homes of the rich and famous on television and been amazed at their many gadgets including home theater and automation systems? We look at those marvelous systems and never imagine that we could actually afford a home theater and automation system. Believe it or not, you will find home theater and automation systems much more affordable than you thought possible. An Alameda County home theater and automation company in Alameda, Union City, Pleasanton, Newark and Dublin and the smaller areas of Albany, Emeryville, and Piedmont can simplify all of your technology. They will streamline your home theater and automation so that you will not need to walk all over the house to adjust your lights, window coverings, temperature and your AV components. 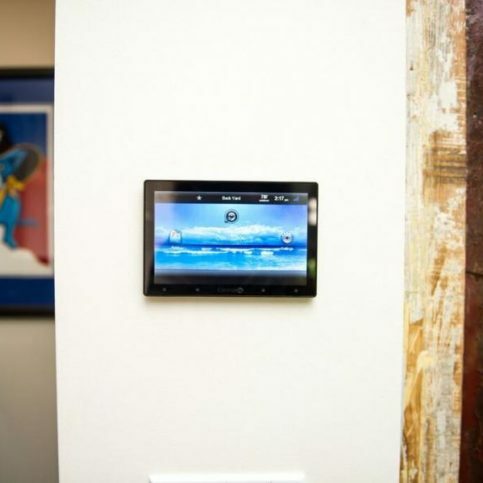 Total control of your home theater and automation will be on a keypad or touch panel which is just at your fingertips. You will be amazed at the luxury of controlling so much of your life with just the touch of a button. You lights will dim or turn off and on, your window shades will close, the temperature will adjust, and the television will turn off or on. Can you imagine lights turning on as you walk by or blinds adjusting to protect your beautiful drapes and fine art from the glare of the sun? An Alameda County home theater and automation company in Alameda, Union City, Pleasanton, Newark and Dublin will design your home theater and automation to include all of the features that you want. They have helped many homeowners design creative home theater and automation projects and they will take many things into consideration. You need to know that you are hiring true professionals who will give you the high-quality results and good customer service that you want. That is why research is so important. Research is the key to finding and hiring the best home theater and automation company in Alameda County, including those in the larger cities of Alameda, Union City, Pleasanton, Newark and Dublin and in the smaller areas of Albany, Ashland, Castro Valley and Cherryland. Most homeowners don’t even know where to begin when it comes to hiring a good Alameda County home theater and automation company. How do you know that the great home theater and automation system is really built to last? You need to make an informed decision that will save you time and money. How do you begin this search for an Alameda County home theater and automation company in the cities of Oakland, Fremont, Hayward, Berkeley and San Leandro? It is overwhelming when you begin looking at all of the high tech choices there are for including in your new home theater and automation system. It is important for you to understand the terms used in technology for home theaters and automation. 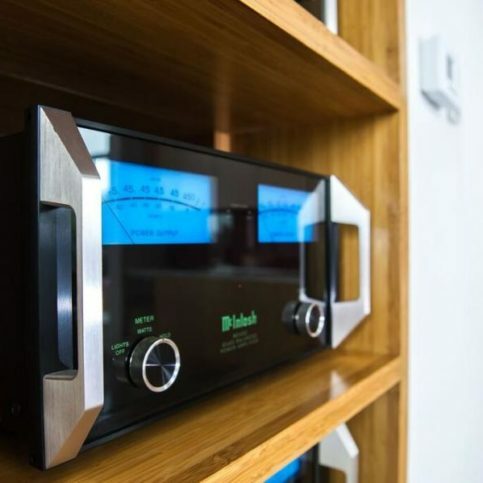 A Diamond Certified home theater and automation company in Alameda County in the cities of Alameda, Union City, Pleasanton, Newark and Dublin will make sure that you understand the terminology and what everything is for, how it works and what can be done with all of the new equipment. Not only do you want a new home theater with automation but you want to know how to use it! 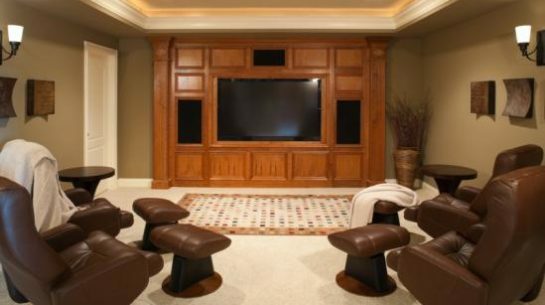 Finding a certified home theater and automation company may seem a bit daunting. But Diamond Certified home theater and automation companies have made it easy and done all of the work for you. They will insure that you hire a home theater and automation company you can trust and who won’t quit halfway through your project. A Diamond Certified home theater and automation company knows the importance of having a good rapport with their customers from the beginning. Your home theater and automation company should make you feel appreciated and relaxed about the installation of your home theater and automation. If there is any area of the home theater and automation installation that you need more knowledge about, your certified company will do everything they can to educate you with enthusiasm and a sincere desire to help you. 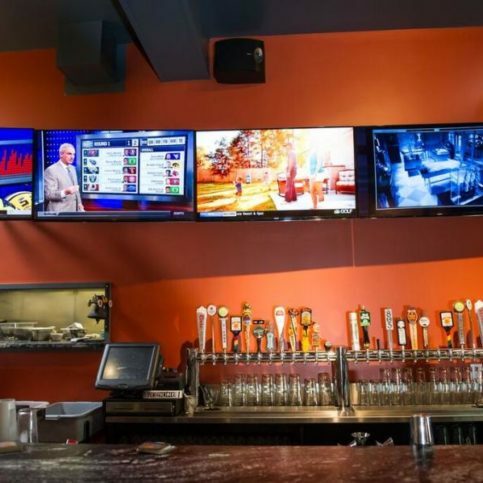 An Alameda County home theater and automation company in Oakland, Fremont, Hayward, Berkeley and San Leandro and the smaller areas of Piedmont, Russell City, San Lorenzo and Sunol will take time to educate you about the options that are available. They will also take into account your requirements and your budget. Diamond Certified home theater and automation companies don’t just enter your house and install the equipment. There is a lot of analyzing and work to be done before installation. Your needs and expectations must be taken into account. One of the most important pre-installation jobs is figuring out the wiring schematics. All of these jobs are time consuming. However, a qualified and experienced Alameda County home theater and automation company in the cities of Alameda, Union City, Pleasanton, Newark and Dublin can save you time, money and heartache. They can also offer you a realistic quote based on your wants and needs. Why Trust Diamond Certified Home Theater and Automation Companies Rated Highest in Quality and Helpful Expertise®? 2) Statistical Reliability: A large random sample of past customers is surveyed on an ongoing basis so the research results you see truly reflect a Diamond Certified company’s top rated status. 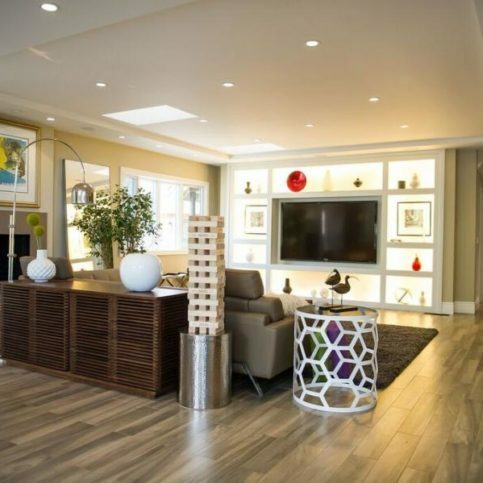 This project in Pleasanton features a TV mounted above a fireplace and a centralized rack. Avid Home Theater installed this home theater and distributed audio system in Alamo. 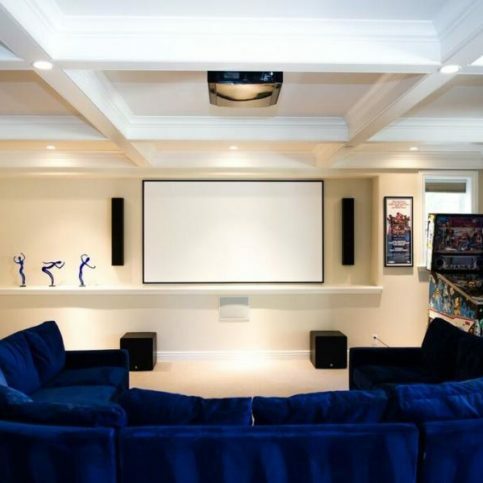 This home theater project in Pleasanton features a projection system and theater seating. 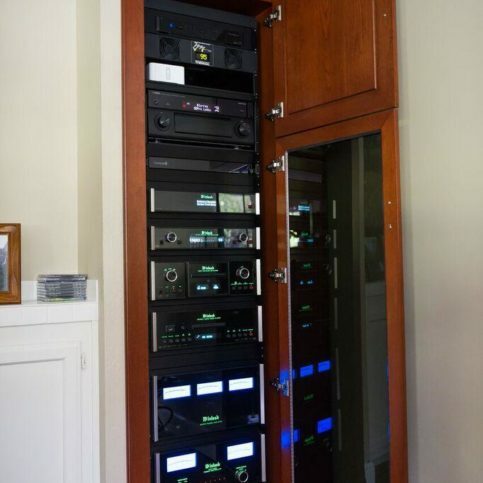 Avid Home Theater installed this centralized rack to house hi-fi equipment. This home automation control panel is controlled by Control4. 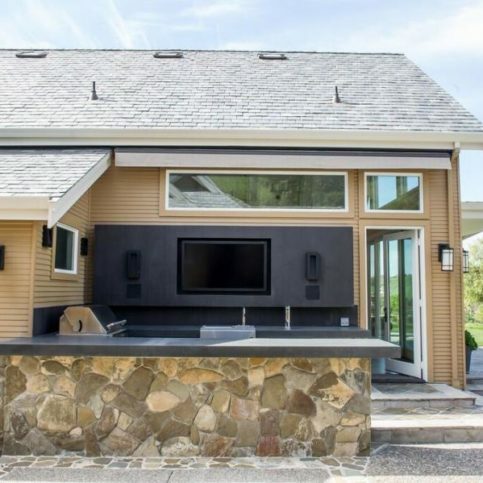 Avid Home Theater built this outdoor entertainment area in Blackhawk. 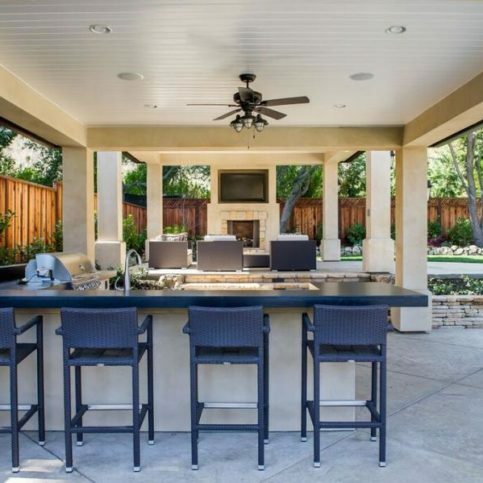 Avid Home Theater created this outdoor entertainment area at a home in Alamo. This project in Danville combined home automation, lighting control and distributed audio elements. 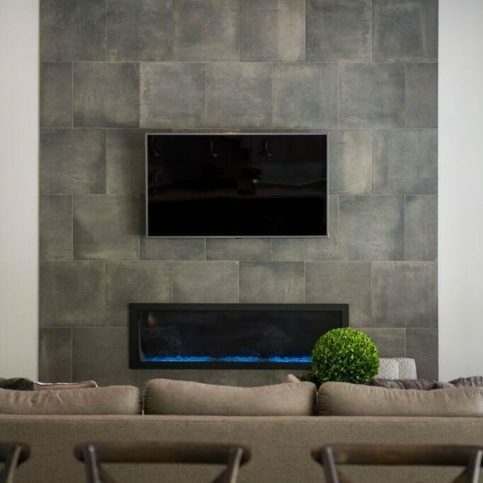 This project in Pleasanton features high-end, distributed audio and a TV mounted above a fireplace. 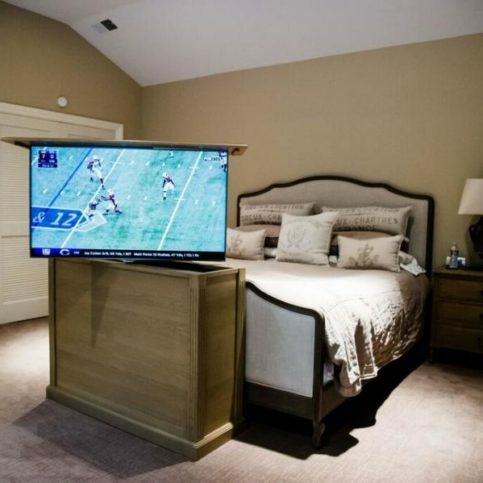 Avid Home Theater installed a TV mount, TV lift and custom cabinet in this bedroom in Blackhawk. 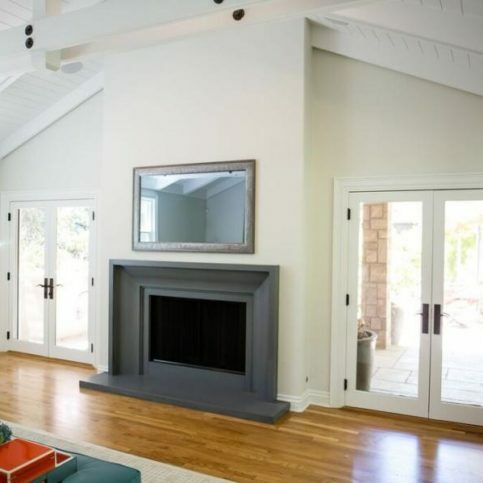 This recent project in Alamo features a TV mounted above a fireplace. Avid Home Theater installed this high-end audio system in Danville. 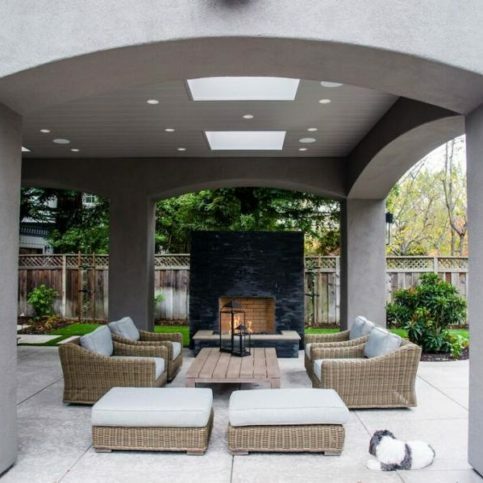 This outdoor entertainment area in Blackhawk features distributed audio and lighting control systems. This recent project in Danville features a TV mounted above a fireplace. 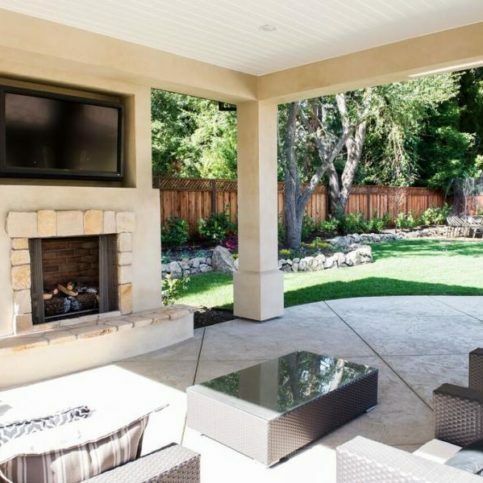 Avid Home Theater installed this outdoor entertainment system in Alamo. Avid Home Theater mounted this mirror TV above a fireplace in Orinda. This mounted TV is controlled by Control4. Do I want a Diamond Certified company that is top rated and backed by the Diamond Certified Performance Guarantee? Am I looking for the best home theater and automation company that will have complete responsibility for the project rather than hire subcontractors to complete part of the installation? Can this company integrate with other contractors that may be involved such as an architect, designer or carpenter? Are there any changes or repairs I need to make to the house before the home theater and automation company begins their work? What is my budget for home theater and automation? Am I planning on living in this house over the long-term or am I going to sell it or use it as rental property? 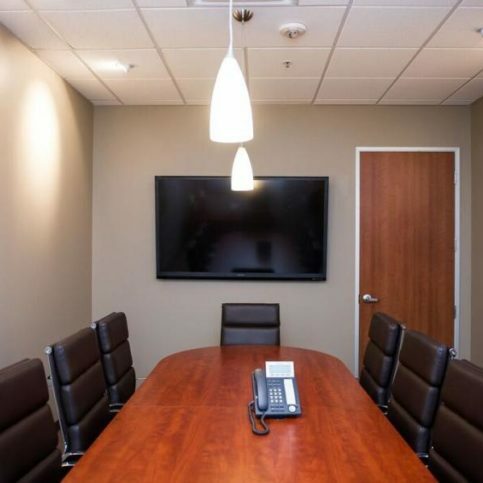 What personal and professional characteristics would I like my Alameda County home theater and automation company to have such as good communication skills, timeliness, honesty, integrity, and reliability? Will you provide a written or a verbal estimate? Do you hire any subcontractors for any of the work? What kind of warranty or guarantee do you offer? What does you warranty cover? How many home theater and automation systems have you completed in Alameda County? Can you provide us with 10 recent references? It’s best to choose a Diamond Certified home theater and automation company because all certified companies have passed an in-depth ratings process that most other companies can’t pass. If you want quality from a home theater and automation company in Alameda County and the Greater Bay Area, you can have confidence choosing a Diamond Certified company. Diamond Certified reports are available online for all certified companies. And you’ll never be fooled by fake reviews. That’s because all research is performed in live telephone interviews of actual customers. If you can’t find a Diamond Certified home theater and automation company within reach, you’ll have to do some research on your own. If you do, it’s wise to call some references provided by your home theater and automation. Keep in mind, though, that references provided to you by the home theater and automation company are not equal in value to the large random sample of customers surveyed during the Diamond Certified ratings process. That’s because references given to customers from companies are cherry-picked instead of randomly selected from all their customers. So the contractors will likely give you a few customers to call that they know are satisfied. 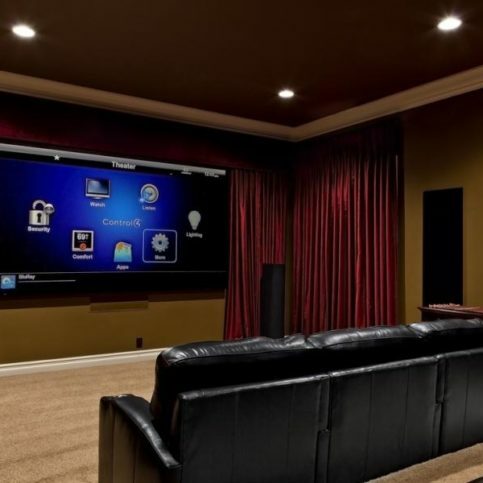 Are you happy with your home theater and automation system? Can you actually operate your home theater and automation system easily? Did the installer respond to any requests you made? If you could do things differently, would you and how? Your choice of a home theater and automation company is an important decision. Before deciding on the best home theater and automation company in Alameda County for you, it’s important to consider the following questions. What does this home theater and automation company offer that is specific to what I need? Is this estimate with in my budget? Can the home theater and automation company in Alameda County meet your needs when it comes to scheduling, customer service and experience? Does the home theater and automation company offer a written warranty to back up their work? Putting in a new home theater and automation system does not have to be a major financial setback. Plan your budget and stick to it. After you have found an Alameda County home theater and automation company that you can trust, you will have peace of mind having your home theater and automation system installed. First, meet with the home theater and automation company and outline what your specific plan is for your system. Use the notes that you have taken so you can accurately describe any concerns that you have. Be as detailed as possible and don’t be in a rush. It is as important for you to hear their suggestions and observations as it is for them to hear you. If you don’t understand something, ask for an explanation. You need to completely comprehend the plan for your home theater and automation system and any potential problems or solutions. Be sure to get all estimates in writing before any work begins. The estimate should include an itemized list of the cost of the supplies and the labor. Don’t ever sign a blank estimate. When you feel satisfied with the information you have received from your Alameda County home theater and automation company, you can sign the contract. Make sure that they have a phone number where you can be reached at all times. If the actual costs exceed the original amount of the estimate, the home theater and automation company must get your approval before moving ahead. Professional home theater and automation companies are able to handle the very small to very large aspects of their work. However, there are some things that you can do to prepare for them and to make their progress in your home theater and automation installation go more smoothly. Doing these things may even cut down on their labor costs and can keep your home and belongings from being damaged. Remove any furniture or movable items from the area where they will be working to install your home theater and automation system. Before they begin work on your home theater and automation, remove all of the objects that may be in the way. Provide parking space and room for their work vehicles. Contact your home theater and automation company before they begin the installation and ask them how many parking spaces they need and how much room they need for any of their equipment. It is also helpful to walk through the area where they will be working so any hazards or clearance issues can be pointed out before the actual installation of your home theater and automation begins. Keep your pets and children away from the area. Your home theater and automation company will be focused on installing your equipment and should not have to watch out for your pets or children at any time. This not only prevents accidents and injury but also any expense that comes from accidents that may happen because of children and pets being in the way. How Can You Be a Good Home Theater and Automation Company Customer? It’s the home theater and automation company’s responsibility put in quality home theater and automation using the best possible installation techniques. But you play a big part in the success of your home theater and automation, too. Here are a few simple steps you can take to be a good customer when hiring an Alameda County home theater and automation company. Be clear and upfront with the home theater and automation company. Let them know what you want from your home theater and automation company, the long-term outcome you’re expecting and specific ways they can satisfy your expectations. Before you hire a home theater and automation company in Alameda County, restate your expectations and goals, and reiterate to the home theater and automation representative your understanding of the agreement. Most problems with local home theater and automation companies occur because of a breakdown in communication. By being clear about your expectations and theirs, you can avoid most conflicts. Ask your home theater and automation company if you should call to check on the progress or if he will call you with updates. Be sure your service representative has a phone number where they can reach you at all times while they’re installing your home theater and automation. The work will move along more smoothly if your home theater and automation company can reach you for any necessary updates, questions or work authorizations. When your contractor contacts you, return calls promptly to keep the home theater and automation company on schedule. Pay for the home theater and automation work promptly. Why would you want to be a good customer? Home theater and automation companies in Alameda County appreciate customers who are straightforward, honest and easy to work with. Your good customer behavior sets the tone from your end and creates an environment conducive to a good relationship. Things may very well go smoother and any problems may be more easily resolved. The company’s name and physical address. A list of all services performed. An itemized list of all the supplies purchased. The total cost for supplies, including the amount due for labor. Any applicable warranties or guarantees provided by manufacturers or the company. It is wise to compare the completed work with the written invoice. 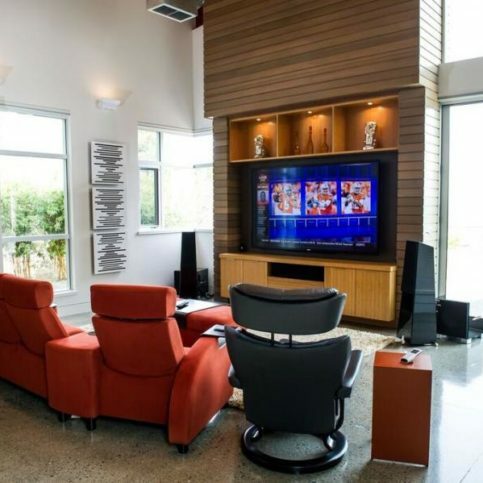 Ask your contractor to walk through your home with you and show you the completed home theater and automation. Check the work with the invoice. During the walk-through, ask if there are any special instructions for maintaining your new home theater and automation. If you have any questions about the work or equipment, now is the time to ask. What products and parts of the home theater and automation system are covered. This should also include whether the company will replace or repair your home theater and automation equipment in the event of a product failure. Terms, limitations and exclusions on the materials and workmanship. If the warranties are transferable to the new owner if you sell your home. The top 10 requests for home theater and automation in Alameda County are listed below. A home automation starter will allow you to control a few of your appliances and lights etc., from anywhere in your home. You may want to start with a basic and add to this. Motion sensors control appliances and lights by motion. Lights can be programmed to turn on when someone walks in the room. Appliances can also be programmed to turn on with motion. Motion sensors are also popular for attics, porches, garages, and basements. Wireless remote controls can control lights, appliances and home theater equipment. Automation modules control your lights and appliances by remote. Lights, stereos, sprinkler systems, appliances and garage doors can be controlled by remote with an automation module. Home automation switches can remotely control your lights and appliances. Switches can remotely dim and control lights and also turn appliances on or off. Plug in controllers allow you to immediately control appliances and lights in your home by just plugging them into an outlet. You can use your cell phone to turn on lights or even turn on the heater. Automation software is a computer based software that allows you to control appliances and lights from your computer. Lights and appliances can be programmed to turn on and off at certain times or to activate a motion sensor. Home theater and entertainment uses a screen and projector or high end DVD player and television to recreate “going to the movies.” Amplifiers and surround sound add to the overall experience. Intercoms are another system that allows for greater security. Intercoms and other door answering systems allow you to talk to visitors before they enter the premises and to communicate from room to room in your home. Home automation kits are available as a more inexpensive way to begin home automation. You can choose various kits for lighting, security systems, and home theater. These kits give you all that you need to start your home automation system including detailed instructions. Absorption is the reducing of acoustical energy. Audio codec 3 is an encoding system that compresses digitally into a single bitstream. Academy curve minimizes noise with an intended roll-off in the system’s playback. In old movies this keeps the sound from being unpleasant. Acoustic suspension is an enclosure in a sealed speaker that uses trapped air to help control the woofer. Advanced Television Systems Committee is a committee that is directed by the government. The ATSC developed the digital television transmission system. Amplifier is a component that increases an audio signal’s level. Attentuate is to reduce or turn down. Bass is low frequencies below 200 Hz. Boost is to increase sound to make it brighter or louder. Brightness is the control that makes your image brighter. In audio, brightness refers to having too much treble. A compact disc is a disc which allows you to digitally format with 74 to 80 minutes of recording. Controller is a handheld wireless remote or a processor or receiver. Damping is the controlling of vibration by means of an electrical or mechanical device. Dynamic range is the difference between the lowest and highest levels. In audio, this is decibels and in videos, this is contrast ratio. Heat, ventilation and air conditioning are systems that can be controlled by remote receivers or computers. House master keypad is a device that is installed to allow control all of the automation. It also communicates with room keypads. Individual dimmer allows for dimming in individual rooms or areas. Infrared is a frequency of light that is invisible. Television and audio video equipment often utilize infrared remote controls. Infrared connecting block is mounted on a wall and allows one to connect emitters by small plug-in jacks. Infrared emitter sends out an infrared light which is sent by a remote control. Infrared receiver receives infrared signals which is then sent from a room to an appliance allowing you to control it. Macro is a group of commands that are executed in order sequentially. Microphones are used with voice recognition to capture voices. Power line carrier allows devices to communicate through the existing power line wiring. Signals are sent and received through the wiring. Power supply is a device that plugs in to convert to a lower voltage which is used for electronic components. Preset dimmer allows you to control a room with multiple dimmers which are controlled by one keypad. Recordable compact disc is a disc which is recordable. Voice recognition software is software for home automation that allows you to control by voice command. Q: Why choose a Diamond Certified home theater and automation company? A: Diamond Certified helps you choose a home theater installer and home automation company with confidence by offering a list of top rated local companies that have passed the country’s most in-depth rating process. Only home theater and automation companies rated Highest in Quality and Helpful Expertise® earn the prestigious Diamond Certified award. Most companies can’t pass the ratings. American Ratings Corporation also monitors every Diamond Certified company with ongoing research and ratings. And your purchase is backed by the Diamond Certified Performance Guarantee, so you’ll feel confident choosing a Diamond Certified home theater and automation company. Q: How do you define home automation? A: Home automation is the technological system or systems that are installed in your home to make your life more efficient. These systems are a convenience and will enhance your lifestyle. Q: What does a home control system do? A: A home control system can virtually change the way you live and the choices are practically unlimited. Some of the systems that you may want to control are: lighting, controlling the climate or temperature of your home, networking computers, security systems, controlling window blinds, and other touch screen controls. Q: Can a home automation system save money? A: Actually, a home automation system can save you money by saving energy especially with lights. Timers will turn off your lights saving light bulbs and energy. Motion sensors will turn lights off after motion or movement has not been detected in a room for a period of time that you set. Other devices that are controlled by home automation can be programmed to turn off also. Any saving of energy will save you money. Q: What are the benefits of having a home automation system? A: There are many benefits from having a home automation system. One of these benefits is that your home will be enhanced. You will be able to press a single button and do a multitude of tasks. You can turn on your television, or change the lighting, lower the blinds and many other tasks. The benefits of being able to change the lighting will be very dramatic. Lights can be made dimmer and change the mood of the room you are in. 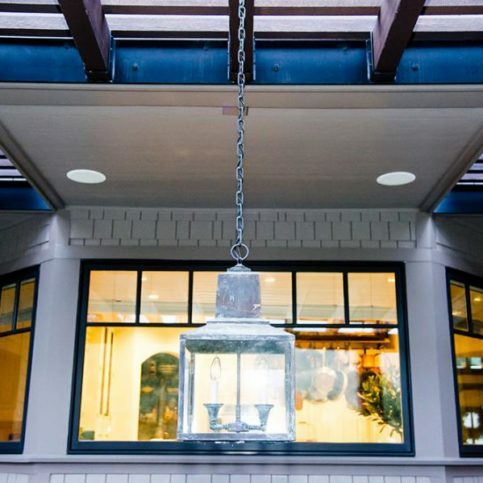 Lights also complement the architectural elements of your home. You will find your comfort and convenience are also improved. We have all grown accustomed to changing the channels of our televisions from our chair but now you can change the channel, dim the lights, control the stereo, set the thermostat and many other functions from your chair, bed or anywhere in the house. This will save you time and effort. You will no longer have to get dressed to run outside and turn the lights off in a detached building or get out of bed to turn the lights off in a different part of the house. All of these conveniences are available to those with disabilities which can give them independence. Even quadriplegics can gain independence by controlling every appliance in the house. A home automation system can also save you money. A large percentage of the average household budget is spent on lighting. And a large portion of this is wasted because of outdated equipment and being used inefficiently. By utilizing automatic timers and dimming controls on the lights, much of this waste can be cut. An automated system will also regulate your water heater, air conditioning, heater and other systems so they are only on when they are needed. Home automation increases the security of your home. Traditional alarms only alert you when the robber has entered your home but a new security system lets you push a button to turn on all of the lights in the house and flash alarm lights to deter the robber. Police will tell you that good lighting helps prevent crime. Home automation will also make your homer safer. Motion detecters can detect movement and let you know if anyone is in the house. Many injuries occur because people fall in the dark and trip over things. Now lights will automatically light your way as you walk through your house. Q: What is a home theater? A: Home theater is setting up a place any your home that gives you the experience of being at the movie theater. Audio and video equipment are set up to give you similar sound and visual effects similar to a theater. Q: Do I need surround sound for my home theater? A: Surround sound gives you more of the experience of a movie theater so if you are looking to replicate that you will need surround sound. Surround sound will allow the viewer or listener to experience the sound coming from every direction. Q: Does a projector or a television work best for a home theater? A: The decision to have a projector or a television really depends on where you are going to have your home theater. 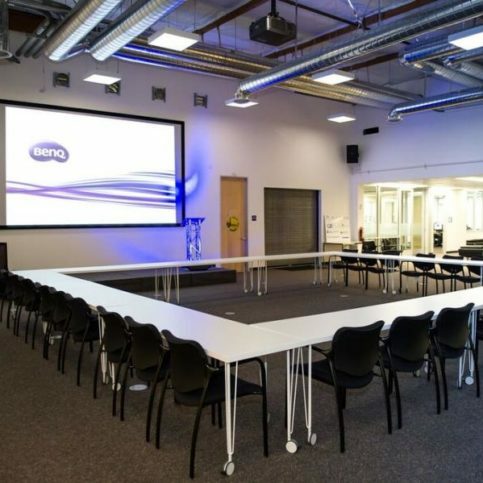 Projectors work best in a room that is fairly dark or can be dimmed to make the picture clear. If your home theater is not in a dedicated room for viewing, you may want to get a large screen or plasma television. Q: What is the purpose of amplifiers in a home theater system? A: Amplifiers create the surround sound you are wanting in a home theater system. It is very critical to the amplifier to have a good power supply. Without a quality power supply, your resulting sound will be poor and may even have interference noise.